Program the monkey sprite to ask player 1 for a drawing. 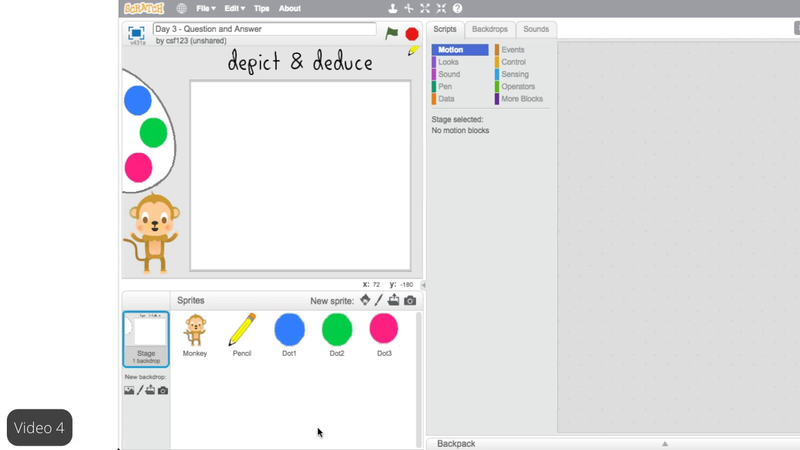 Program the game so that player 2 can guess the drawing. Create a variable to store the right answer.